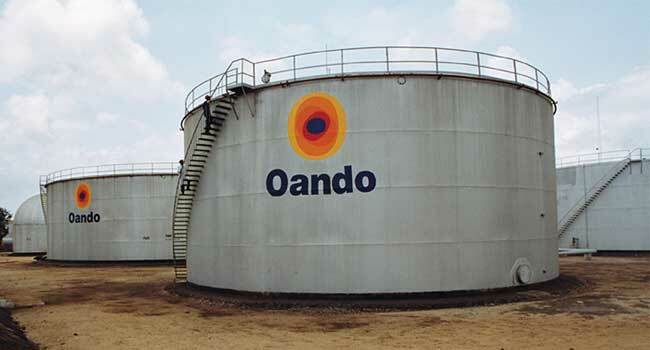 The shares of troubled energy trader, Oando Nigeria Plc, moved up the maximum 10 per cent to N6.99, within the first one hour of trading on the Nigerian Stock Exchange (NSE) on Wednesday. Stock trader and Chief Executive of Cowry Asset Management, Mr Johnson Chukwu, told Channels Television that investors demand for the shares of Oando topped nearly 77 million in early trade. News filtered in early today that the Securities and Exchange Commission (SEC) late Tuesday ordered the Stock Exchange to lift its six-month share price freeze on Oando Nigeria. The energy company is currently under independent forensic investigation ordered by the Securities Commission with an interim report due in a few weeks’ time.